AMD FirePro S9150 is "the world's most powerful server GPU"
AMD has announced a new GPU-based server card aimed at the high performance computing (HPC) server market. The AMD FirePro S9150 is said to be "the most powerful server Graphics Processing Unit (GPU) ever built," for this market. Its headline achievements include surpassing 5 TFLOPS of peak single-precision and over 2.5 TFLOPS of peak double-precision floating point compute performance. Also AMD claims this new FirePro card uses a maximum of 235 watts, which equates to "up to 77 per cent more performance/watt than the competition". 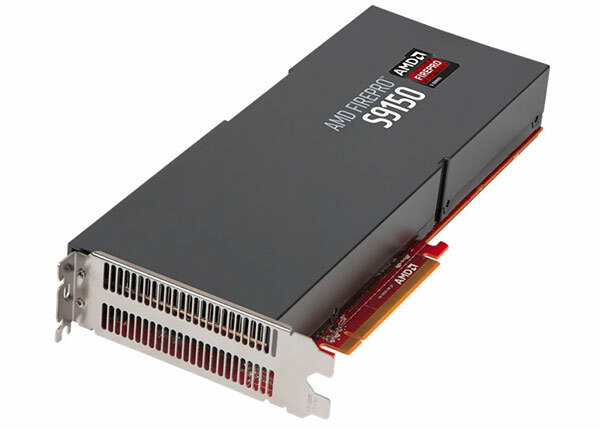 The AMD FirePro S9150 Server GPU is built upon the AMD 28nm GCN architecture. At your computing disposal you will have 2,816 stream processors (44 GCN compute units). The card features 16GB of GDDR5 memory which is interfaced via a 512-bit bus and provides 320GB/s of memory bandwidth. AMD leverages its PowerTune technology to boost the GPU clock speeds by up to 30 per cent for particularly demanding applications. AMD STREAM technology helps users implement these cards to deliver "massively parallel processing power". The energy efficient design, consuming a maximum of 235 watts, offers 10.8GFLOPS double precision-per-watt. AMD's David Cummings, senior director and general manager, professional graphics, says that helping reduce power and water consumption is important for modern supercomputers that are environmentally responsible. 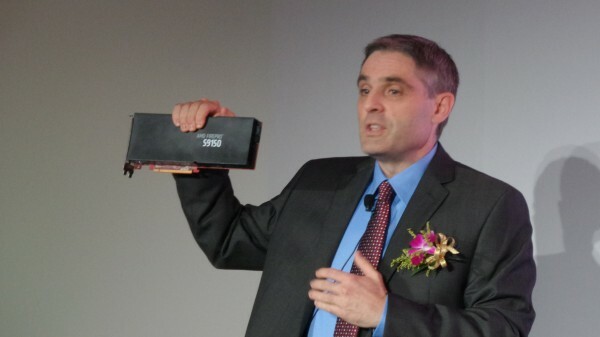 He claimed that "Designed for large scale multi-GPU support and unmatched compute performance, AMD FirePro S9150 ushers in a new era of supercomputing. Its memory configuration, compute capabilities and performance per watt are unmatched in its class, and can help take supercomputers to the next level of performance and energy efficiency." This new server card supports the open, royalty-free, OpenCL application standard and support for OpenCL 2.0 is planned for later this year. With Open CL 2.0 the AMD FirePro S9150 will be able to make use of new features such as Shared Virtual Memory and Nested Parallelism to gain even better performance. Can someone explain to me why this card pulls 235w and a 290x which is pretty much the same chip uses more power than a small country?, I must assume this is clocked a lot lower? Clocked lower so it can run undervolted. If this is a server part, you want to cram loads of them into a single chassis so performance per watt is more important than absolute grunt. If you average 230W, just how much peak power are you consuming? The article implies 225W is the peak consumption, which is easier to power budget for and to wire up as you can get 75W from the motherboard and another 150W from a single PCIe cable. I may not have been clear, sorry; I wasn't comparing it to the Firepro (although the average power of the 290X is close to the spec), just that the 290X simply isn't this power-sucking monster it's often made out to be.